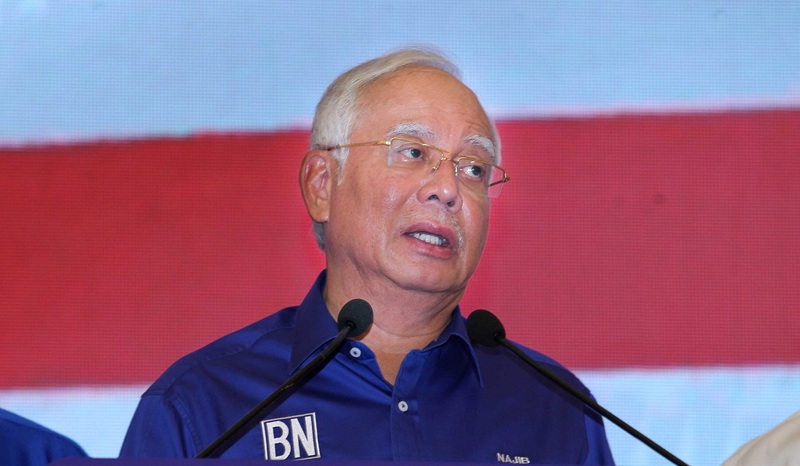 KUALA LUMPUR (Feb 11): The High Court is scheduled tomorrow to begin hearing cases involving former prime minister Datuk Seri Najib Razak, who has been slapped with dozens of charges relating to money laundering, criminal breach of trust (CBT) and corruption. The charges against Najib, 66, has drawn worldwide attention as his case has been described as “the worst kleptocracy scandal ever” and are mostly related to the scandal-plagued 1Malaysia Development Berhad (1MDB). Both the Malaysian public and the international community have been transfixed by the scandal. He was first brought to the Sessions Court on July 4, 2018 to face three counts of CBT and one count of abuse of power in connection with SRC International Sdn Bhd funds totalling RM42 million. High Court Judge Mohd Nazlan Mohd Ghazali has fixed 33 days, from tomorrow to Feb 28 and March 4 to 29, for the trial of Najib’s seven charges involving SRC International funds. Despite attempts by Najib’s defence team led by lawyer Tan Sri Muhammad Shafee Abdulah to have the trial adjourned pending Najib’s appeal on the withdrawal of the certificate of transfer to the High Court, Attorney-General Tommy Thomas had on Feb 7 informed the judge that the prosecution was ready to proceed with its case tomorrow. “Witness statements have been served on the defence and subpoenas have also been served to witnesses,” he said. Sources said the prosecution is ready with nine witnesses to testify on the first day of the trial, among them government officers. “We have on standby nine witnesses but it depends on how the trial goes on the day. We have also prepared witness statements and after the witnesses read out their statements, the defence would cross-examine them,” a source said when asked on the proceedings during the trial. The source said whether the trial will proceed or not tomorrow would depend on Najib’s appeal to stay the trial, which is scheduled to be heard this afternoon at the Court of Appeal. Thomas informed the court that the prosecution made the move due to the Federal Court’s decisions in the Semenyih Jaya (2017) and M Indira Gandhi (2018) cases, which raised a doubt in respect of the exercise of the powers by the Public Prosecutor to transfer a case from the Sessions Court to the High Court. Sources said the prosecution would today apply to transfer the three additional charges of money laundering slapped on Najib last Friday, from the Sessions Court to the High Court. “We also will ask for the three additional charges to be jointly tried with the other three counts of money laundering which were brought earlier in court on Aug 8, as [the charges] involve the same funds (SRC International),” a source said. Last Friday, Najib pleaded not guilty to three counts of money laundering involving RM27 million of SRC International’s funds. He had been charged with the same charges in the High Court on Jan 28, but on Feb 7 Thomas withdrew the charges and asked for Najib to be given a discharge not amounting to an acquittal. The money laundering case originated from the Sessions Court and the prosecution should have mentioned the case at the Sessions Court before transferring it to the High Court. However, under Section 91 of the Anti-Money Laundering, Anti-Terrorism Financing and Proceeds of Unlawful Activities Act 2001, the prosecution can bring an additional charge against an accused in the High Court. The prosecution has submitted over 3,000 pages of documents including minutes of meetings of SRC International to the defence team in the course of the proceedings. The prosecution will also call 50 witnesses to testify at the trial. As the case originated from the Sessions Court, the prosecution had applied to transfer the case to a higher court as the High Court has wider jurisdiction and if the case begins at the High Court, the appeals could be heard until the Federal Court, (and) if there is any complex legal issues, it will be resolved at the Federal Court.